Many people are wondering what will be the City’s response to the Court decision. We are beginning to see the answer…. The City appears to be taking steps quickly to legitimize the rezoning. Directly related, “Proposed Amendments to the Downtown Official Development Plan” has quietly appeared on the agenda for the Feb. 4 (Wed) meeting of the Vancouver’s Standing Committee of Council and City Finance and Services. The proposed changes first go to Council on Feb. 4 to repeal certain rules, and the next step would be a Public Hearing before Council approves the amendments. Time to turn on the spotlights and have a look at what’s going on. There should be a full and satisfactory public explanation of what this is all about. All through, the public should look for evidence that the City staff and officials are operating transparently, in good faith, and in the public interest. ACTION: If you are concerned about this, you may speak or write to Council on Feb 4, regarding whether or not the proposed amendments are ready to go to a public hearing. See bottom for instructions. Also, when the Public Hearing comes up, public involvement will be crucial. These are complex city-planning documents and matters, so we must count on public servants and helpful professionals to explain things, but it appears staff (the report is authored by Brian Jackson, General Manager of Planning and Development Services) may be attempting to re-do some changes to the Downtown Official Development Plan (DODP) that previously sneaked into the West End Community Plan (see related article by West End Neighbours, Jan. 27: Mysterious West End connection: Yaletown residents Supreme Court victory in Emery Barnes Park raises questions). Specifically the proposal is to get rid of the term “low cost housing” and come up with a new definition for “social housing.” The new DODP would allow density bonuses for buildings that include social housing. The Development Permit Board will be able to approve these density bonuses without Council being involved. (See our comments on the DPB: About the Development Permit Board — Looking “under the hood.” This is a largely opaque board, consisting of three civil servants with tremendous powers, unaccountable directly to the public. Who influences and controls the DPB? Whose orders to they follow?) The proposed changes may be an attempt to evade Section. 565.1 of the Vancouver Charter, which relates to density bonuses for affordable housing. It appears that if these changes are approved, City staff will be able to automatically approve density bonuses, without Council or public review, as long as “social housing” is a component. 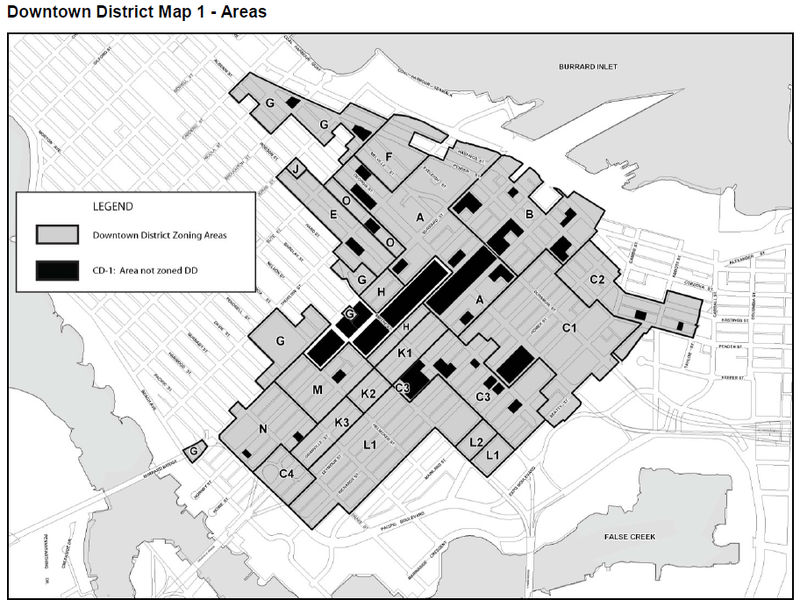 Does this create a “back door” for density bonuses to be completely un-monitored by Council and the public. Why would this be a good idea? Councillors can put forward a motion to amend the document, but if so, must do so by the day before the meeting. As noted above, the public can also write and request to speak to Council. Though it doesn’t relate directly to the New Yaletown area, the newly proposed definition of “social housing,” in some areas of downtown “social housing” has a different definition than the rest of the downtown area (p. 1 of Appendix A, at bottom). Why is it a good idea to have different definitions of social housing for different areas? Is this level of complexity necessary, or does it simply make the bylaw less intelligible by the public? Section 4, 5, and 6 of Appendix A in particular read as if they are expressly intended to be unintelligible, at least to a layperson. What is the full text of the resulting amended section of the bylaw? Isn’t this obtuse wording exactly what the judge’s ruling called out as no longer acceptable? Section 5 appears to be increasing, several-fold (perhaps 2x – 6x?) the amount of density that can be bonused, and does so without Council or public scrutiny. This appears to be delegating what should be Council’s responsibility, and avoiding public oversight. It also appears to create zones of super-density that would otherwise be counter to the DODP — essentially slums created by the allowable super-dense architecture, potentially also crammed with “micro” suites. Section 6 appears to increase allowable height, not just for social housing, but also for rental housing. Taken in sum, these changes are not in keeping with the general intent of the current DODP, and provide broad loopholes and carve-outs, not just for social housing (as newly and more loosely defined), but also for rental housing, automatically and without opportunity for Council or public review to determine if the bonuses are appropriate to the specific site. Why does it make sense to delegate oversight of the character of our neighbourhoods to unelected officials, in order to provide much-needed social housing? Can’t we approve social housing with Council approval and public oversight? If we can only accomplish these changes without review, could it be that they aren’t changes that the public wants? 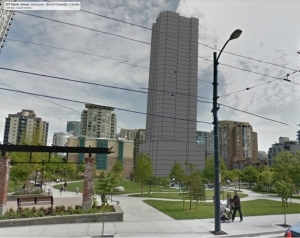 Could staff provide a physical or electronic model of what the downtown area would look like, if built up to the limits of the DODP density and height, both before and after the proposed changes? That might better allow Council and the public to determine if these changes are really what we want. As it is, the effect truly appears to be “unintelligible”. • If you would like to speak at this meeting, please call Tina Hildebrandt, Meeting Coordinator, at 604.873.7268 or email speaker.request@vancouver.ca. • You can communicate your comments to City Council by emailing mayorandcouncil@vancouver.ca. See also our “Contact Mayor and Council” web page with individual e-mail addresses for Mayor and Council. • Visit http://vancouver.ca/speaker-wait-times or @VanCityClerk on Twitter for real-time information on the progress of City Council meetings. • A live video stream of the meeting will be available at http://civic.neulion.com/cityofvancouver/. An archive of the video stream will be available the day following the meeting. The meeting is an opportunity for the public to voice concern about the proposed amendments — not about the merits of the amendment, but rather about whether the proposal is ready to go to a public hearing. “The Downtown District is the regional centre of commercial development. It contains the greatest concentration of the working and shopping public within the region. How is City staff being able to automatically approve density bonuses, without Council or public review, as long as “social housing” is a component ” more than the customary regulatory mechanisms “? Thanks CityHallWatch, I will be sure to write the Mayor and Council.